In many communities, this annual activity can be a small or even a major boost to local nonprofits. In California’s San Bernadino County, for instance, Jose Cisneros of the San Bernadino Community Service Center says that his agency works with “the poorest of the poor” and that “fireworks is definitely one of the biggest fundraisers we do and very important to us continuing to serve the community.” The organization has raised up to $25,000 from the sale of fireworks in years past. In Omaha, Neb., fireworks sales amounted to $425,000 for local nonprofits last year. 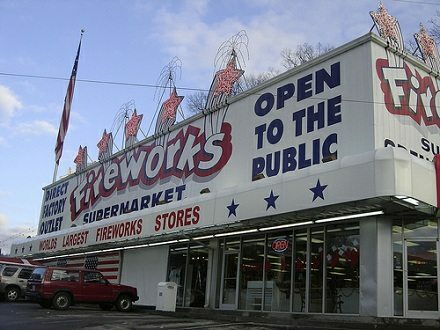 Many of the nonprofits selling fireworks are quick to note that fireworks can be dangerous. The nonprofit Prevent Blindness America reports that fireworks resulted in more than 6,000 emergency room visits and more than 1,300 eye injuries in 2010. Prevent Blindness America recommends avoiding the use of fireworks altogether, but aware that many Americans will ignore that advice, the group also offers some helpful tips on what to do in the event of a fireworks-related eye injury.